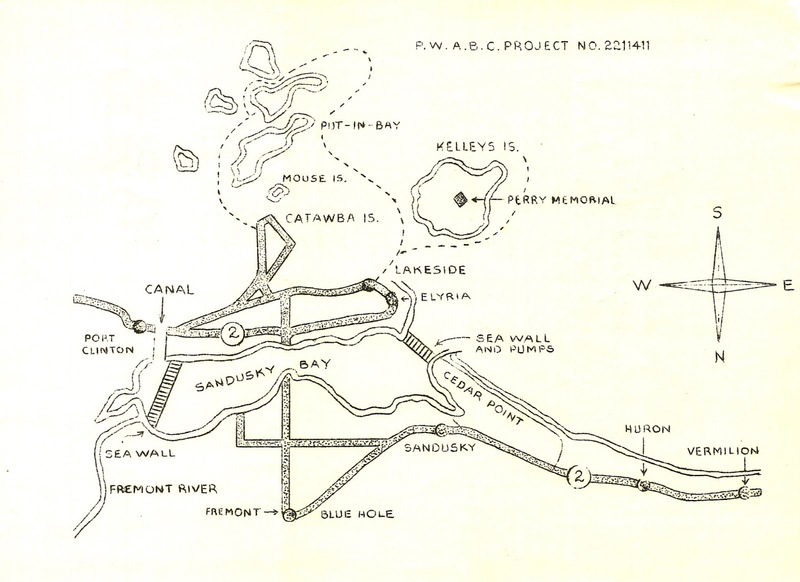 Sandusky History: A Plan in 1945 to Drain Sandusky Bay? Known as the Post-War America Beautiful Commission Project No. 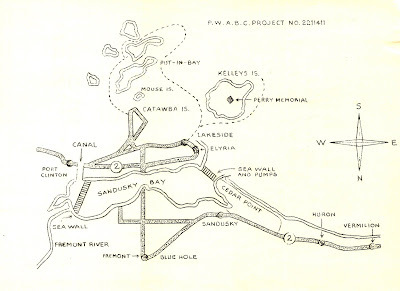 2211411, an interesting plan was set forth in which Sandusky Bay was to be drained, and a concrete wall was to be built from Sandusky Bay to the Sandusky River. Another sea wall was to connect Cedar Point to the eastern end of the Marblehead Peninsula. The result would be the draining of underground caverns from Sandusky to Bellevue. Once the Sandusky Bay was drained, there would be room for a gigantic parking lot for all the visitors to Vacationland. Sound preposterous? The Sandusky Register Star News of March 14, 1945, reported that the project was the subject of a skit put on at the annual dinner of the Chamber of Commerce, held at Jackson Junior High School. Judge G.W. Collinworth, an employee of the Trojan Powder Company, portrayed the character of secretary of the Post-War America Beautiful Commission. Members of the audience asked him questions. The news article reported that the humorous skit was “a big hit.” Visit the Sandusky Library Archives Research Center to read more about this skit, which of course was never meant to be taken seriously. Note: There were several obvious mistakes on the fictitious map, including the placement of Elyria on the Marblehead peninsula and Perry Memorial on Kelleys Island. 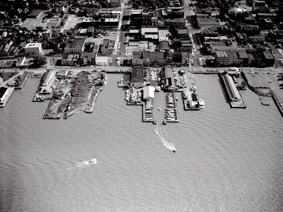 That proposal reminds me of the news item and "photo" that appeared on the front page of the Sandusky Register in the 1950's, reporting that an iceberg had been sighted in the bay, near Johnson's Island. It was not until one read the very last sentence of the article, on an inside page, that the story was a hoax. The date of the Register edition that carried the story was April 1, April Fools Day.